Milan Turkovic | The Chamber Music Society of Lincoln Center. Milan Turkovic is one of the few internationally known bassoon soloists. Over the past three decades, he has also become a celebrated conductor, making appearances all over the world with orchestras such as the Vienna Symphony, Vienna Radio Symphony, Munich Radio Orchestra, Camerata Salzburg, Rome Symphony Orchestra, Orchestra Sinfonica G. Verdi of Milan, Krakow Philharmonic, Tokyo Metropolitan Symphony Orchestra, Nagoya Philharmonic, National Orchestra of Taiwan, and Philharmonia Prague. He is currently acting principal conductor of the Moravia Virtuosi. A recipient of the Edison Award, he received the German Echo Klassik Award in 2010. He has worked with the soloists Mischa Maisky, Jan Vogler, Michael Schade, Xavier de Maistre, Gábor Boldoczki, Sergei Nakariakov, Sara Mingardo, and Lise de la Salle. 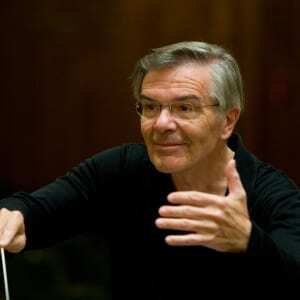 As a soloist he has performed in many musical centers with renowned orchestras and for many years he was a member of Concentus Musicus Wien and The Chamber Music Society of Lincoln Center, and was a founding member of Ensemble Wien-Berlin. His discography currently consists of nine CDs as a conductor, 15 CDs with solo repertoire, and 26 CDs as a chamber musician. He has recorded the Mozart bassoon concerto four times, the third recording was performed on a period instrument with Nikolaus Harnoncourt. In print, Mr. Turkovic is the author of four books in German and his book about Concentus Musicus also appeared in a Japanese translation. He is from an Austro-Croatian family and grew up in Vienna.